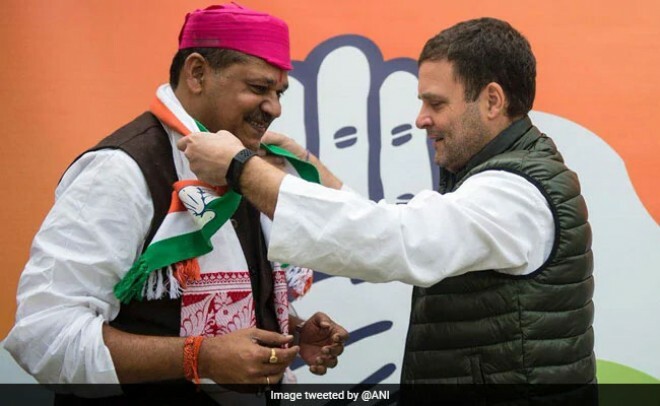 New Delhi, Feb 18: Darbhanga MP and former Indian Cricketer Kirti Azad, who was suspended by the ruling Bharatiya Janata Party for anti-party activities, joined the Congress on Monday. A member of the 1983 World Cup winning team met Congress president Rahul Gandhi and was inducted into the party. Azad was to officially join the opposition party on Friday, but the programme was canceled in the wake of the Pulwama terror attack. He was suspended by the BJP in 2015 after he leveled allegations against Union Finance Minister Arun Jaitley in connection with alleged irregularities in the Delhi and District Cricket Association.